My compass for research is the Passage du Nord-Ouest as taken by Michel Serres to describe the passage between the humanities and science. Relationship of Free-flow open space, Air flow and Energy. Integrated design and building energy performance evaluation. Materiality and construction, energy efficiency, sustainability in a critical cultural context. Energy efficiency in existing, retrofit and new buildings. The intertwining of culture, climate and nature in the work of Alvar Aalto. Building Science Plank leader in the Iowa NSF EPSCOR project (2011-2016): Harnessing Energies from the biosphere. Exploring Alternatives to the “Typical Meteorological Year” for Incorporating Climate Change into Building Design in collaboration with Eugene Takle, Atmospheric Science. 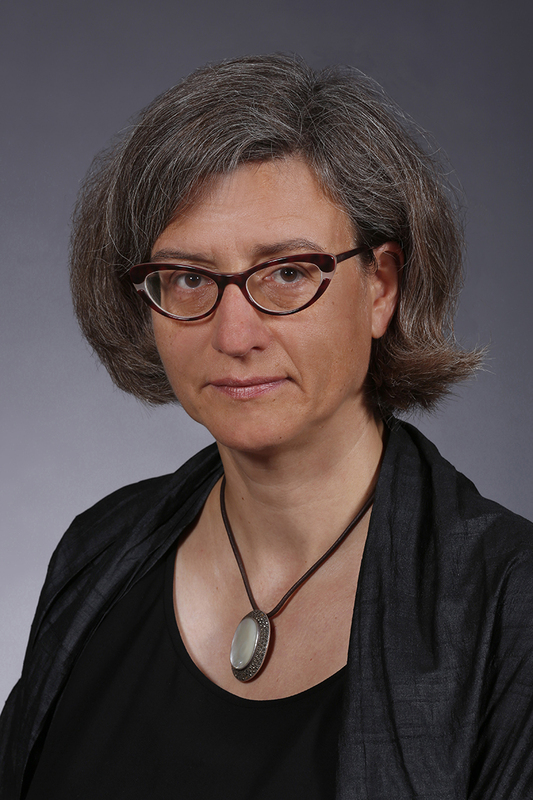 Ulrike Passe was invited to give a keynote lecture at the 2018 BEEP Camp for Building Science Educators, which was held December 22-23, 2018 at the CEPT University in Ahmedabad, India. Research Contract with Dr. Kristin Cetin, Assistant Professor in CCEE as PI, collaboration with the Iowa Energy Center and Pella Corporpation. Krejci, C.C., Passe, U., Dorneich, M.C., & Peters, N. (2016), “A Hybrid Simulation Model for Urban Weatherization Programs”, Proceedings of the 2016 Winter Simulation Conference, Arlington, VA, December 11-14. Passe, U., Anderson, N., De Brabanter, K., Dorneich, M., Krejci, C., Poplin, A., Shenk, L., (2016), Methodologies for Studying Human-Microclimate Interactions for Resilient, Smart City Decision-Making, in: Proceedings of PLEA2016 Los Angeles - Cities, Buildings, People: Towards Regenerative Environments, 11-13 July, 2016. Kalvelage, K., Dorneich, M., & Passe, U. (2015, 7-9 Dec), Simulating the future microclimate to identify vulnerable building interior conditions. Proceedings of the 14th International Conference of the International Building Performance Simulation Association, Hyderabad, India. Passe, U., Deza, M., Ganapathysubramanian, B., He, S., Vansice, K., Xu, S, (2016), Typological Studies For Passive Design Strategies Based On Coupled Measured And Modelled Data, Proceedings of the 2016 Simulation for Architecture and Urban Design (SimAUD) conference, May 16-18, 2016, London. Low Energy Low Carbon Architecture, recent advances and future directions, ed. by Khaled a. Al-Sallal, CRC Press, Taylor & Francis Group, London UK, 2016. He, S., Passe, U. (2015). Architectural Student’s Attitude towards Building Energy Modeling: a Pilot Study to Improve Integrated Design Education. Paper presented at the IBPSA International Conference 2015, Hyderabad, India, 7-9 December. Kalvelage, K., Dorneich, M., & Passe, U. (2015, 7-9 Dec). Simulating the future microclimate to identify vulnerable building interior conditions. Proceedings of the 14th International Conference of the International Building Performance Simulation Association, Hyderabad, India. He, S., Passe, U. (2014). The Potential Energy Efficiency of a Hybrid Designed House: A Post-occupancy Case Study on the Heating and Cooling System. Paper presented at the ASHRAE 2014 Annual Conference, Seattle, WA, June 28- July 2. Kalvelage, K., Passe, U., Krejci, C., & Dorneich, M. (2015, 5-7 Oct). Incorporation of future building operating conditions into the modeling of building-microclimate interaction: A feasibility approach. In K. P. Lam (Co-chair), The First International Symposium on Sustainable Human-Building Ecosystems (ISSHBE). Carnegie Mellon University, Pittsburgh, PA.
Fleenor, K., Passe, U., He, S. (2015). The Interlock House: Communicating Sustainable Practices through Architecture. Paper presented at the PLEA 2015- Architecture in Revolution, Bologna, Italy, 9-11 September. Passe, U., Anderson, N., De Brabanter, K., Dorneich, M., Goodwin, J., Krejci, C., Poplin, A., Shenk, L., Anderson, C., & Graham, L. (2015). Big data for sustainable city decision-making. Iowa State University, Presidential Initiative for Interdisciplinary Research in Data Driven Science. Everly, R., Murillo, E., Passe, U. (2015) . Energy Efficient Dehumidification by Solar Driven Liquid Desiccant Systems for Residential Application. Paper presented at the ASHRAE 2015 Annual Conference, Atlanta, GA, June 27- July 1. Faculty advisor to three out of ten ACSA_AIA COTE TOP TEN student teams. Buildings can breathe naturally, without the use of mechanical systems, if you design the spaces properly. This accessible and thorough guide shows you how in more than 260 color diagrams and photographs illustrating case studies and CFD simulations. You can achieve truly natural ventilation, by considering the building's structure, envelope, energy use, and form, as well as giving the occupants thermal comfort and healthy indoor air. By using scientific and architectural visualization tools included here, you can develop ventilation strategies without an engineering background. Handy sections that summarize the science, explain rules of thumb, and detail the latest research in thermal and fluid dynamics will keep your designs sustainable, energy efficient, and up-to-date. Passe, U. (2015, April 6-9), Typological Studies for passive design strategies based on modelled and measured data. Presentation at the ARCC (Architecture Research Center Consortium): The future of architectural research, Chicago. Co-PI to the IEC opportunity grant over $76,960 to PI Mufit Akinc, Material Science and Engineering, other co-PI: Ganesh Balasubramanian Mech. Eng. The primary objective of the project is to develop cost-effective nanoporous materials that can be used as core material in vacuum insulation panels (VIP), with thermal conductivity (TC) of less than 10 mW/m•K. The VIP material system will have direct implementation in residential (appliances), industrial and housing (insulation systems), agricultural (food preservation and processing) and transportation (refrigerated containers) sectors. Furthermore, nanoporous VIPs will reduce the insulation wall thickness of the system which in turn increases the “effective volume” of the system under consideration. Passe, U., Ganapathysubramanian, B., & Yesilata, B. (2014), The Harran Houses as a case study for solar assisted passive ventilation and cooling. In B. Yesilata, K. Bayraktar & G. Kocar Eds. ), Proceedings of the Turkish Solar Energy conference SolarTR, Izmir. This proposal was funded to assist the implementation of a second phase of improvements into our award-winning undergraduate building technology sequence in the Department of Architecture. Specifically, this work involves the integration of a series of sustainability-themed learning exercises that simulate the highly-integrated nature of contemporary architectural practice environments. The overarching vision of our proposal to be submitted to NSF CyberSEES program is to enhance the utilization of naturally occurring energy flows within buildings to achieve thermal comfort and air quality, while minimizing fossil fuel consumption. The goal of our research is to push whole building performance prediction, evaluation and simulation to higher levels, while improving human comfort. Leysens, I., Passe, U. (2014). Towards a Dynamic Daylight Understanding. Paper presented at 8th Windsor Conference: Couting the Cost of Comfort in a Changing World, Cumberland Lodge, Windsor, UK, 10-13 April. He, S., Passe, U. (2013). Improving air flow performance models for passive solar and natural ventilation design: Comparing Simulation and Preliminary Measurements. Paper presented at the PLEA2013- 29th Conference of Sustainable Architecture for a Renewable Future, Munich, Germany, 10-12 September. Rabideau, S. L., Passe, U., & Takle, E. S. (2012). Exploring Alternatives to the" Typical Meteorological Year" for Incorporating Climate Change into Building Design. ASHRAE transactions, 118(1), 384-391. USGBC R2P2 (United States Green Building Council Research to Practice Project) in collaboration with multiple faculty, the ISU F,P&M and ISU Council on Sustainability. In May 2012, the CTU team invited Ulrike Passe, the coordinator of the Iowa team that participated in the U.S. Department of Energy Solar Decathlon 2009 competition. An optimistic and vigorous architect arrived and shared her experience. Her Prague lecture interconnected design, research and technologies. During the joint workshop the AIR House was directed to passive design and common sense. Ulrike Passe teaches at the College of Design Iowa State University, focusing on research on energy-efficient buildings. As far as the building physics is concerned, Ulrike uses the architecture point of view. She says: "The space itself works as effective technology." Mann, B., Passe, U., Rabideau, S., & Takle, E. (2012). Future context for thermal comfort: Impact of a changing climate on energy demand and human thermal comfort. Proceedings of the 7th Windsor Conference: The changing context of comfort in an unpredicatable world, Cumberland Lodge, Windsor, UK, 12-15 April, 2012. Stoakes, Preston, Ulrike Passe & Francine Battaglia: Predicting Natural Ventilation Flows in Whole Buildings Part 2: The Esherick House; in: Building Simulation: An International Journal BUILD SIMUL (2011) 4: 000–000 DOI 10.1007/s12273-011-0046-3) Tsinghua University Press and Springer. Stoakes, Preston, Ulrike Passe & Francine Battaglia: Predicting Natural Ventilation Flows in Whole Buildings Part 1: The Viipuri Library Building Simulation: An International Journal; DOI: 10.1007/s12273-011-0046-3; Tsinghua University Press and Springer. Granted to recognize individuals, businesses, organizations, or units whose programs or accomplishments brought broad recognition to the university and increased the involvement of ISU constituents in the life of the university during the year prior to being nominated. For the Solar Decathlon team to recognize an impact on the campus’ sustainability efforts by generating awareness and interest through initiatives that focus on teaching, research, outreach and/or operations. Department of Energy's 2009 Solar Decathlon competition and public exhibition on the National Mall in Washington DC. The Interlock House is an 800 sft solely solar powered house designed by ISU students under leadership of faculty adviser and principal investigator Ulrike Passe. "Ulrike Passe has assumed a key role in the architecture technology curriculum, increasing the emphasis on sustainable design principles and integrating her extensive "green" practice experience in Germany into design studio. She is committed to interdisciplinary efforts... As the principal investigator for ISU's Solar Decathlon project, Ulrike has engaged with students and faculty across campus and throughout our College in the design and construction of a solar-powered house. ... Ulrike handles this ambitious range of projects with flexibility and humor"
Passe, Kaelber Architekten: Haus Marxen's interior analyzed in the Chapter 'Colour' in: Ro Spankie: Basics Interior Architecture: drawing out the interior, AVA Academia Lausanne, 2009. p.130-131. Principal Investigator and main faculty advisor for the Iowa State Solar Decathlon Team to build a solely solar powered 800sqft house for the international competition on the National Mall in Washington D.C.